Fez: Its a Shadhali thing! How should we approach hadith? We would like to take this opportunity to announce our latest translation which is a book about the Ahl Al-Bayt. It is translation of Sheikh Yusuf Al-Nabahani (may Allah show him mercy) book called Sharf Alamubad alaa alli Muhammad. 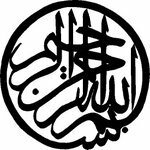 The Ahl Al-Bayt are the blessed offspring of the Prophet (may Allah bestow peace and blessings upon him). Apologies this book is no longer available. Or if you wish to view our Ahl Al-Bayt survival guide click here.